Beautiful certificate from the Third Shooting Festival in New York. 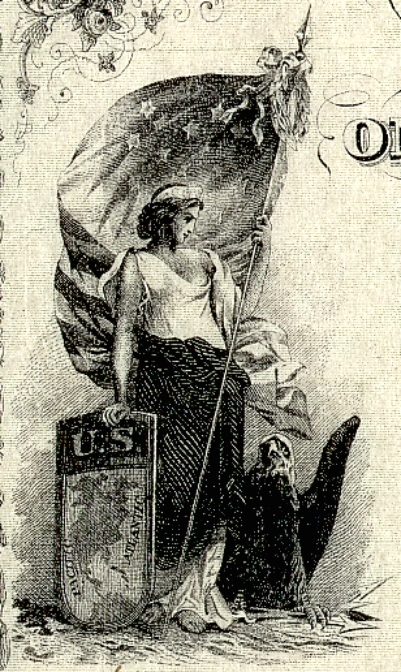 This historic document was printed the the 1880's by Julins Pick, Lith., and has an ornate border around it with a vignette of a Lady Liberty an American flag and a shield, standing next to an eagle. This item has been hand signed by the President, Louis Burger, Treasurer, and Assistant Secretary. Theodor Steinway (from the Steinway piano family) written on top. The Third Shooting Festival was held in Central Park in New York was sponsored by the American Sharp Shooters Society.